Grew up with Autodorozhnik Saratov (Russia) juiors. Made his debut with Autodorozhnik Saratov during the 2000-01 season. Signed for the 2002-03 season by CSKA Moscow. Signed for the 2005-06 season by Portland Trail Blazers. Played on January ‘06 with Fort Worth Flyers in the NBDL. Traded to Sacramento Kings on February '06. Moved to Russia for the 2006-07 season, signed by MBC Dynamo Moscow. Won the 2012 and 2015 EuroCup with BC Khimki Moscow region. Won the bronze medal at the 2011 European Championship..won the bronze medal at the 2012 Olympic Games. Played at the 2003, 2005, 2009, 2013 and 2015 European Championships. Won the 2002-03, 2003-04 and 2004-05 Russian National Championship with CSKA Moscow. Won the 2005 Russian National Cup with CSKA Moscow. Won the 2011 VTB League wit BC Khimki Moscow region. Played the 2007 and 2011 Russian All Star Game. Named the 2011 Russian All Star Game MVP. 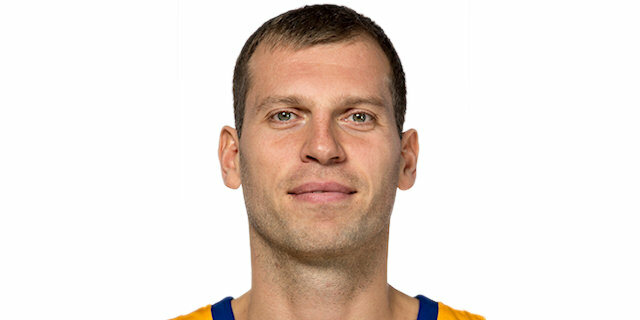 Led the 2012-13 Russian League in blocking shots (1.5 bspg.). Has been member of the Russian U-18 National Team. Played at the 2000 European U-18 Championship.